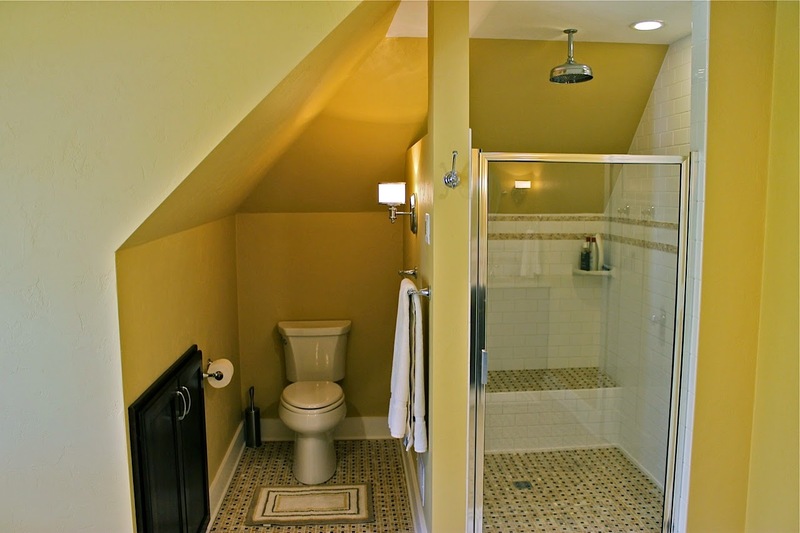 Renovating a unique space like an attic or small bathroom can pose a remodeling challenge. Spacial issues such as slanted ceilings and unique wall pitches, or a kitchen pantry can be a hidden opportunity for additional storage or shelving. At Artisan Remodeling we try to squeeze every square inch of space out of our projects by using inefficient spaces for storage and function. Here you see an opportunity for a recessed cabinet within the half wall. The shower and sink areas were carefully planned to make the most of the space while still achieving enough head room for the user. Unique shower space remodeling ideas always depend on the existing structure, but we have a lot of experience to help get great results! 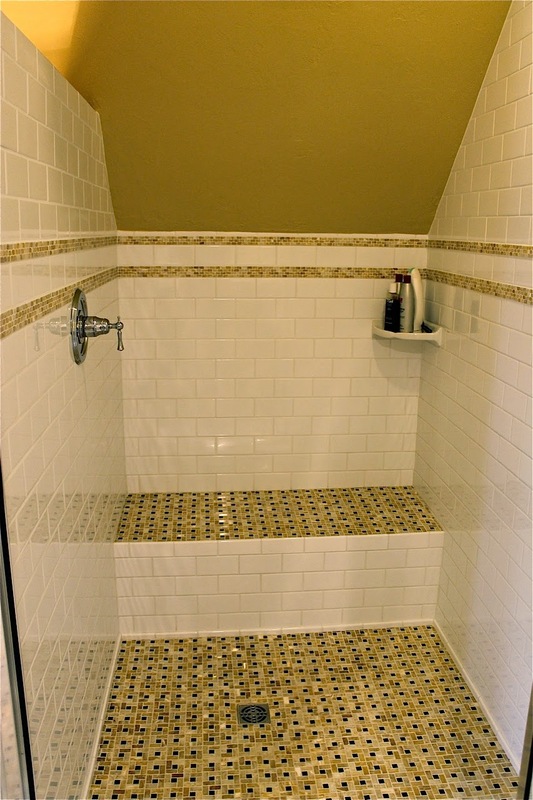 The tile shower is a great example of our commitment to function and style, demonstrating the use of the Onyx mosaic and stone trim detail within this unique space. In cooler climates we often recommend installing heated floors under tile surfaces. 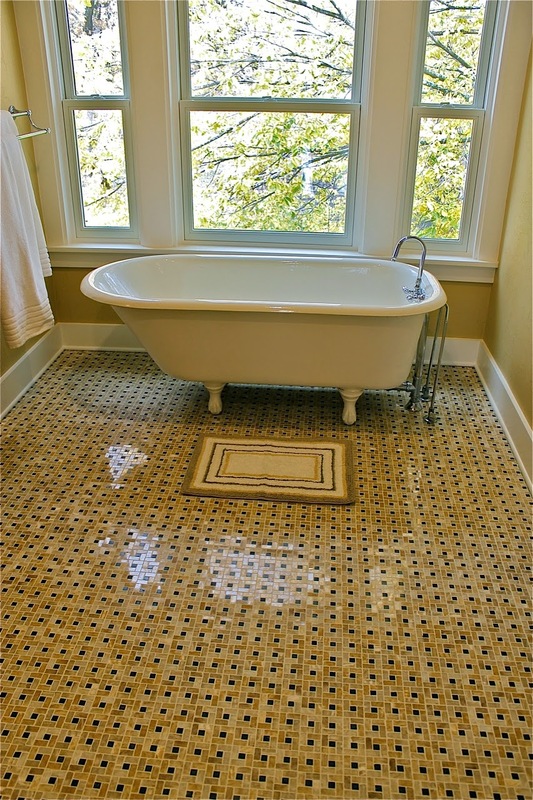 If you love the look of tile but hate the cold, heated floors are the perfect solution. This beautiful Onyx floor mosaic looks beautiful but also gives the client comfort at any time of year.